River Trent Angler. 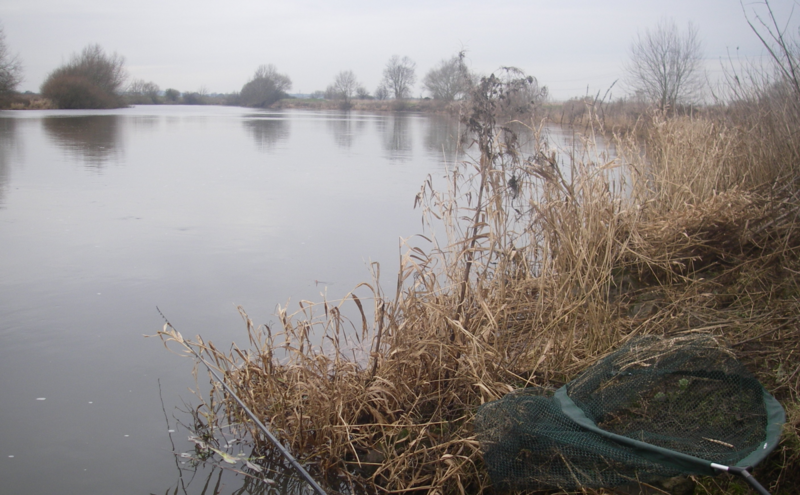 – Page 3 – Fishing the River Trent mostly with a float. Honest I just cannot remember the last time we had any substantial rainfall. It must be at least 8 months, so right now I’m hoping it will continue and be continuous. The rain has to get into the ground first, then flood the rivers, that first big flood is life blood to the river and anglers alike. The river needs it to remove all the stale rubbish on the river bed, including silt, old weed and even anglers garbage. We need it because when the rivers are up a little the fish feed with abandon, often the water is carrying some sediment making it less clear and quicker in pace. Then fish have less time to inspect a bait and cannot see our rig as easy. This window of opportunity is sometimes very short, maybe just a few days if we are lucky it can last several weeks if the rain keeps coming. Worst it keeps coming and coming and we have weeks of non-fishable rivers, it’s all down to luck. In 2015 I managed to fish a little river just at the right time, the water was up and the fish were ravenous. I fished this one stretch for several days and took four massive chub, the best at 6lb 6oz all on the float, laid on in the margins. Bait was flake fished over mashed bread soaked in hemp oil. The fish is on the front page of this blog and while it isn’t my biggest fish, it has the best memories for me. Author Fishermanrichard.Posted on October 15, 2018 Leave a comment on Rain at Last. My local Grantham canal has some nice Rudd in it, however they are a bugger to catch. There are so many things against catching them, one is summer algae and duckweed. Its up by mid-June then gone with the first frosts, in summer you can find some odd holes in the weed, but if it’s the slightest bit windy, the gap closes and your buggered again. Last week I managed a morning when the duckweed had all but gone and the wind absent. With the Daiwa 3 meter whip and pint of maggots, just sitting on the bank with no chair I thought I had it cracked. But sadly a once a year boat came through looking for some wayward young swans, and this turned the bottom over clouding the water and making it impossible to fish. I’m hoping the really cold weather will hold off so I can get another crack at them on a slow sinking bait. Normally the water is crystal clear and you can see the Rudd take a bait, juts how i like it. The fish run to around a 1lb most 3-8oz with the odd much bigger fish every year or two. With the little whip 20s hook and matchstick style float, fun is the name of the game but you have to get the fish feeding confidently . Author Fishermanrichard.Posted on October 6, 2018 Leave a comment on Canal Rudd fishing. Author Fishermanrichard.Posted on September 28, 2018 Leave a comment on Home Water. Honestly I’ve never had as much fun fishing as I’ve had recently using my new 3 and 4.5 meter whips on the commercials for silvers. Everyone fishes for carp these days and the silver fish are largely ignored, on my local carp lakes anyway. You rarely see anyone using a whip, long pole with strong elastic yes, but never a short whip. It’s so much fun, at times I just have to laugh to myself, fishing has taken on a new meaning. So much so that I’ve invested in another Daiwa whip, 6 meters this time for the River Trent. It’s not as long as it could be, but I wanted a whip that could still be used ‘fish to hand’ without the unwieldiness of an 8 meter pole. I’m sticking with the flick tip system rather than elasticated as it will be for Trent Dace and Roach fishing, with small natural baits. In addition there are a few small drain in Lincolnshire that I may try this winter. The 20′ whip length plus line reach will put me mid-drain on many of them. Mostly the drains are 5′ deep at most in winter, it should give me a really nice outfit for these slow moving waters, and rivers near home. I know some will say a waggler or stick float would be better and at times I’m sure thats true. But a whip makes this type of fishing so easy, and effective, not to mention enjoyable. It allows you to fish quickly (not so important to me these days) very accurately and with ultra light hook-links. I’ve done this with the stick, but the upward striking of the whip seems to hook fish better and you miss less, so I’m told by many good pole anglers. There is a cracking article on whip fishing here; http://www.matchangler.com called ‘To whip or not to whip”. One of very few articles on whip fishing you will find. Why I don’t know but if you’re trying to learn the whip method you have to look at the Pole articles and then bring it down a bit. Author Fishermanrichard.Posted on September 22, 2018 September 22, 2018 3 Comments on Whipping up a Storm. Back to the lakes, but this time on a different pool in the Eye-Kettleby complex. It was one of those days that never really got light for a September day. The drizzle persisted and I stayed mostly dry under my Preston flat back umbrella, what a great item of kit this is, and so well made. It should last a lifetime, unlike the Daiwa whip I managed to break the tip off, putting it away from my last trip. Completely my own fault, but with 4 inches off a 3 meter whip I was concerned it would make a difference, and it did. I have another on order but they seem to be last of stock, so Daiwa must be bringing out some new ones soon I bet? Big mistake to use ground bait. I made a fatal mistake first thing, putting in some ground bait, and pellets. This attracted a hoast of skimmer bream to almost 2lb and I knew the peg was ruined. So I moved 30 yards away and started again, on the 4.5 meter whip loose feeding red maggots only. The float was a pencil style .3 of a gram with a number eleven shot as the tail-tail and number tens, and eights further up the line. The swim was only four feet deep, but the little float was excellent and fish touching the bait was shown on the delicate bright red tip. A few nice Roach to 6oz came in the first hour, along with some nice Rudd about the same size. What stunning fish Rudd are, even in a commercial water where the colour is somewhat washed away, these beautiful creatures made me smile. The Crucians turned up in force after about two hours of loose feeding, taking the red maggots on a size 20s hook and .10 Preston Power bottom. The bites were in slow motion with the light whip float slowly sinking out of sight. Many bites were missed and I messed about with the shotting until I got it almost right. Over the next few hours until dusk, I took 37 of the little darlings. Several I weighted the best being 1lb 7oz and 1lb 6oz with many around a pound. I guess the average would be just under a pound. I’m not one to have many Bonanza days like this, so when driving home I got to wondering just what I did right? Crucian carp a fish becoming less common. Firstly I did not catch many more Silver Bream, just the odd one cereal groundbait is a no-no when targeting Crucians on these lakes. The Crucians would take the bait just as it settled the float down to a pimple, waiting only brought me Roach, Perch, or Bream. Using a whip it’s very simple recast, just lift and reach, doing this with a rod and reel would be a right pain hundreds of time over. I got the shotting and the float set up spot on, luck, yes mostly. And the feeding was bang on too, just enough to keep the fish interest, but not too much to over-feed. Lastly the low light values meant the fish feed all day, something out of my control, but in my favour. My best ever bag of Crucians ever, and one I doubt I’ll ever repeat, a real Bonaza day. Author Fishermanrichard.Posted on September 18, 2018 2 Comments on Crucian Carp Bonanza! Author Fishermanrichard.Posted on September 12, 2018 Format QuoteLeave a comment on Eye Kettleby Lakes. I thought I’d follow up on my last posts regarding fishing at the lovely Eye Kettleby Lakes, near Melton Mowbray. The complex is so well run, and the lady on reception helpful and a bit of a babe if I’m honest. (Sorry if that’s not PC these days) But this is a fishing blog, not the US Open, doh! For £6 concession you get to fish one of the best stocked venue in the County. I like the fact that all the lakes are of reasonable size, and not Micky Mouse like some I’ve seen. Much like Hallcroft Lakes but much cleaner, better laid out and friendlier staff. On my second visit I tried lake seven, a long oval shape with an island in the middle. It was raining steadily when I set up under my new Preston umbrella, unlike some I did not park my car on the grass in front of the peg as it’s immaculate, and cut like a bowling green. Would people park on their own lawn at home, I take the view the lake is mine for a day, and I’ll treat it with respect while I’m fishing! Lake seven is full of fish, and during the day I only used the two Daiwa whips, fishing for what I could catch. Today it was small silver Bream to around a pound, some chunky Roach to 8oz, Rudd to 6oz plus hybrids. I use a small amount of groundbait, maybe a conker size every ten fish. I guess today was even better that yesterday and I caught around 20lb of silvers, plus a nice little carp of about 3lb. That was an achievement itself on .10 hook link and size 20 hook single maggot. The rain cleared just after lunch, the sun broke through and I really did not want to go home, so good was the fishing. Eye kettleby lakes would be 5 star in this review, it’s clean, well kept, has sensible rules, and the staff are welcoming. I’ll be back many times in the winter just to see if any better Roach exist in any of the lakes. Author Fishermanrichard.Posted on September 12, 2018 1 Comment on Eye Kettleby Lakes.